So you’ve put on a few pounds and have tried many tactics to shed them. You’ve searched and tried just about every diet and workout plan there is on the internet and you still can’t find one that works for you. No matter how hard you try, the temptation of ice cream and chips is too great for you to resist. You’ve tried all the latest fad diets but those extra pounds just won’t budge! Granted, losing weight is difficult but it is not impossible. There are countless articles that show weight loss routines and programs that promise to help you shed weight fast. But there’s one thing that you should understand: losing and keeping weight off is a lifetime commitment. You have to shift lifestyles. And that lifestyle choice is anything but sedentary. The first thing you need is to be committed to losing weight and then keeping it off. 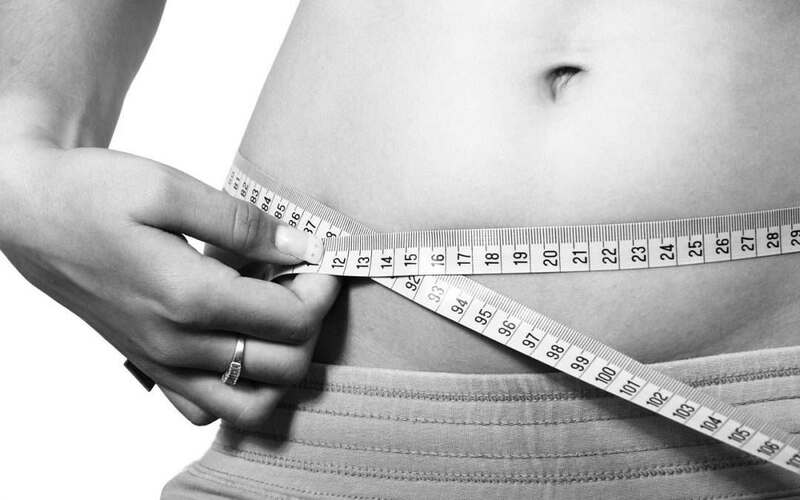 Check out these weight loss strategies and don’t hesitate to contact us if you need help. Commitment is that one “three-syllabled” word you need in order to do anything purposeful, like losing weight and keeping it off. Without being committed, you will not be able to keep any of your goals, whether they’re personal or professional. If you’re looking to lose your weight and hopefully keep it off for the rest of your life, you need to make a promise to yourself to do the same and then keep that promise. That’s commitment: an unwritten and unspoken promise to yourself. Commitment requires focus, however, especially in the case of losing weight and keeping it off. Regardless of the diet and exercise regimen you focus on, you will need to stay focused on your goals. But first you need to make those goals. Commitment may be unwritten and unspoken, but your goals are not. Maintain those goals in a separate diary and write down manageable tasks to achieve within a specific time frame. That’s the best way to achieve your goals and not lose focus. Many of us want to be fit for the summer and get that “summer bod,” so to speak, but that isn’t a long-term goal. And no, your cousin’s birthday this summer isn’t either. To be effective with weight loss, you need your goal to stretch over the long term and accompany some good habits, such as eating healthy foods (fruits and veggies) and exercising daily. Obstacles will come. For instance, you get invited to a dinner party with friends and family and they are going to a restaurant where they have burgers and pizzas, but you know that you have to keep with your diet and exercise plan. Don’t excuse yourself if you don’t want to miss out on the time you spend with them; instead, see if the restaurant serves something vegan/vegetarian or if they have something that isn’t heavy on carbs and calories. This is easier said than done because you need to have something really big to hold on to. A friend of mine once said that you need to find something in life that you want to achieve and work toward. That something needs to evoke great emotion, enough to make you cry just thinking about it; that’s what will help you work toward it. While you may also use this approach by imagining yourself with a fit body and getting compliments left and right, you may also keep the benefits of adopting a healthier lifestyle in mind. This can also drive you to be more active in daily life. Let’s start by finding out the mental and physical benefits of having a healthy lifestyle. We’ve all heard that exercise is a way to get in better shape physically and mentally. But the question is, do you know how it does that? When you exercise regularly, you actually build more muscle in addition to burning fat. That, in fact, helps you boost your metabolism, which in turn helps you burn more calories. That is to say, the more muscle you have, the faster your metabolism and the greater the number of calories burned! By doing regular exercise, you train your body to have a better posture and build your strength further. The correct posture can do many things for your body. From relieving back, neck, and shoulder pain to boosting your self-image! By exercising regularly, you get yourself into the right frame of mind. Each time you exercise, you get dopamine releases that make you feel good. When you see that you are losing weight and getting there, it serves to condition your mind into associating a fit body with that regular dose of exercise. The feel-good hormones in your body like dopamine and adrenaline serve to make you work with a new-found You are less likely to have junk food as part of your diet when your mind makes that same association with healthier foods, no matter how bland they seemed to taste at first. Get that necessary boost in energy that you need by having a healthier lifestyle overall. Exercising allows your lungs to work more, provides more oxygen to your tissues and cells, and leaves you with higher energy levels. When you exercise, you get your heart pumping with increased pressure that takes impurities like bad cholesterol out of your blood vessels. But remember to replace that with good nutrients through better foods that are not processed. Processed cheese, ice cream, soda, chips, and various spreads should be very limited. A piece of dark chocolate is okay every once in a while because it has a high magnesium content. Speaking of the heart and lungs, exercise also helps you reduce your risk for potentially life-threatening diseases like type 2 diabetes, several different types of cancers, and It can also help prevent other life-altering diseases like arthritis, osteoporosis, mild forms of depression, and metabolic syndrome. A healthy lifestyle may also give you hope for a better future. If you are just looking for a pick-me-up after a break-up or wanting to recover after a stressful work day, taking a quick 30-minute walk or working on your muscles at the gym can give you that much needed mood boost. You’ll feel happier and more relaxed after doing this type of physical activity. You can add these benefits of adopting a healthy lifestyle to your motivational list to lose and keep the unwanted weight off. You can also come up with your own list of reasons to keep yourself motivated to lose and keep the weight off your body. Next, you just need to make your goals and stick to the daily tasks that you have come up with to achieve those weight loss goals. When you get that motivation going and are confident about it, begin with a training regimen that suits you. Don’t lose that motivation. If you feel that you are starting to lose your motivation and are reverting back to your old unhealthy habits, remember why you started in the first place. Take ownership and be responsible for your own actions. There are exercise apps that can help you stay on track with whichever regimen you choose, and those with timers that you can use for your daily exercise. They’ll help you keep track of your goals and monitor your progress every step of the way. When you start with your exercise regimen, you don’t have to let it be a chore, make it fun and switch it around to keep the routine from getting boring. All the latest research about gamifying daily activities shows that it becomes easy to stay on track and motivated with this approach because you look forward to doing the activities. That’s where the health trackers and exercise apps with timers come into play. Keep some days for the gym and keep some days for a run or brisk walk at a park. It doesn’t always have to be a separately scheduled exercise session that you do; you can park your car farther away from your office to squeeze in a bit of that healthy lifestyle. Get some music for your gym and brisk walk days. Spotify is a time saving option to have a ready-made playlist for your exercise routines. If you don’t like listening to music while you work out (highly unlikely), you can listen to self-help audio books (from Blinkist) while doing lower-intensity workouts on a treadmill. This will help you to be more productive and improve your professional life while working on your personal life. At least keep up with the recommendation from the World Health Organization. They encourage 150 minutes of moderate exercise or 75 minutes of vigorous exercise per week. Most exercise like lifting and mid-intensity cardio are considered moderate, so that means 30 minutes of exercise per day. Stick to that consistently and the results will speak for themselves. When you switch from eating processed foods to healthier foods, you may miss the less-healthy foods at first. But remember that you’re not eating food for the taste; you’re eating food for nutrition. Remember that it will take time to get into this habit of clean eating. Once you are consistent with the healthy food and exercise, you’ll lose that unwanted weight not from losing muscle, but from fat-burning. The good news is that even healthy food can be made to taste delicious by adding different spices. Follow a diet that is rich in plant-based foods and unprocessed cooked meats, and you will be able to control your calorie count and reduce unnecessary intake. Remember that iron is found in green vegetables such as spinach and broccoli. Brush up on your research regarding plant-based foods and lean meats like fish and chicken. Reserve beef for special occasions such as cheat days or family gatherings. Don’t skip breakfast. Include low-fat dairy products and whole grains in your diet. Eat a good variety of fruits and vegetables. If you give in to cravings every now and then, you should practice moderation and don’t go overboard. Don’t deprive yourself of any nutrient group just because you’re on a diet, otherwise you may suffer from vitamin deficiencies and serious health concerns like depression, osteoporosis, and other bone diseases. Diet is a lifetime commitment so you should consult a nutritionist before starting. Sleep deprivation and exhaustion can lead to various problems. Our fat-burners refresh, reset, and reenergize when we sleep. Lack of sleep (meaning 6 hours or less) consistently gives us a risk of developing high blood pressure and increases the probability of suffering heart attacks. Less than seven hours of sleep can result in weight gain, fast. Sleep deprivation can spike up cortisol (stress hormone) production which disrupts your metabolism, causing you to store unwanted fat. If you’re exposed to your phone at night, your production of melatonin gets suppressed. Consequently, it gets harder to fall asleep. So set that phone aside, and have a set sleeping and waking schedule and stick to it. Consistently! The schedule should account for at least 7-8 hours of sleep each night, tipping more toward the 8-hour mark. If you’re seeking help to accomplish your weight loss goals and are looking for professional guidance, feel free to contact us.